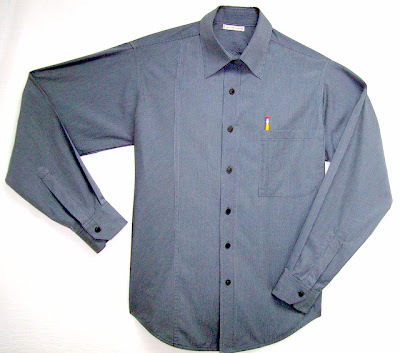 This shirt, made from Swiss cotton, features a bias button placket, and bias sleeve plackets. 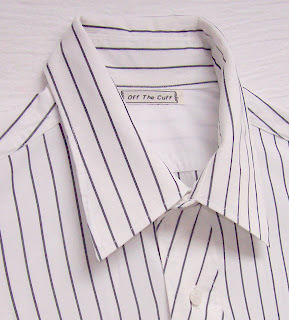 Another feature is the collar, which has a curved edge. The pattern was drafted by hand, and is an original design. 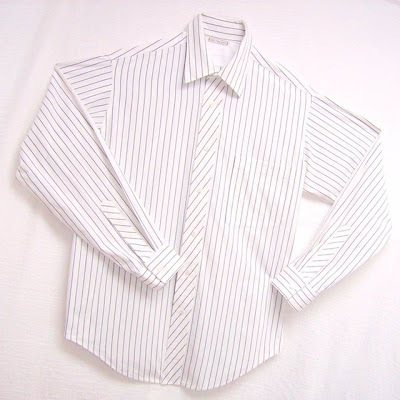 You may notice that the sleeve plackets are very long, yet do not have buttons. The lack of buttons on the sleeve plackets is what my client prefers, and the customer is always right! This Photo shows the collar, which features a curved outer edge. 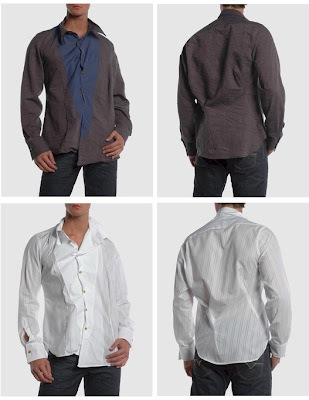 When the shirt is worn, the curved collar sits perfectly on the shoulders, without wanting to "flip up". Wear your clothes, Don't let your clothes wear you! While most women know their "best" colors...most men are in the dark about such color considerations. 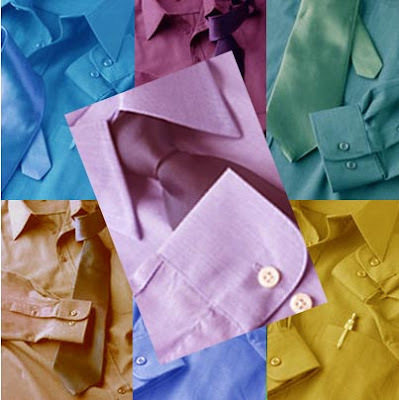 This article found on the Mens Fashion Tips site is a wonderful synopsis of color theory as it applies to men. In a clear and concise manner, the article gives a good overview of the concepts of blending clothing color to flatter the individual. Examples of contrast variations are given and examples shown. It's an article not to be missed by any man who cares about fashion and/or the women who dress them!